NerdWallet Shopping’s scoring of the best lightweight strollers is based on our analysis of the opinions of experts and shoppers like you. To narrow down the field, we looked at expert opinions from review sites such as The Sweethome, CNET and Good Housekeeping. We then analyzed user reviews to get their opinions on each stroller’s best and worst attributes. We recognize that consumers look for different qualities in strollers, so we scored these user observations based on a handful of features, including ease of use, weight, safety and accessories. Overall score: This score shows reviewers’ overall satisfaction level with the stroller across 13 criteria, including functionality, ease of use, maneuverability, accessories and durability. Functionality: This score, which factors into the overall score, reflects reviewers’ satisfaction with the stroller’s level of functionality, in particular how it relates to the baby. Categories that factor into this score include comfort, safety features and noise level. Ease of use: This score, which also factors into the overall score, indicates reviewers’ satisfaction with how easy it is to use the stroller. Categories that factor into this score include the ease of folding the stroller, the stroller’s weight and its maneuverability. 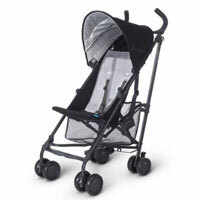 The approximately 11-pound Chicco Keyfit Caddy stroller is an ideal fit for parents who value convenience. The lightweight, easy-to-fold stroller features a four-position, height-adjustable handle and a secure click-in car seat attachment. 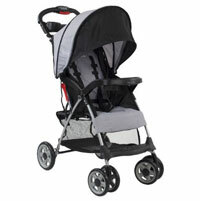 Keep in mind this model is a stroller frame intended for use with an infant car seat. 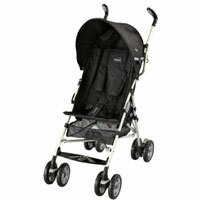 The Snap-N-Go EX Universal stroller from Baby Trend has a compact design that makes it suitable for small spaces. At just 12 pounds, this stroller includes features like a parent tray with two cup holders. This stroller frame is meant to be used with a compatible infant car seat. The 11-pound (frame and seat) UPPAbaby G-Lite is appealing for much more than just its lightweight design. The stroller also includes a large storage basket, tall ergonomic handles, a removable cup holder and a five-point harness, so both the parent and the child are cared for. 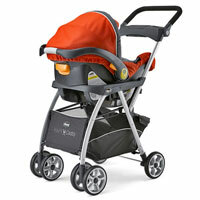 Marketed as a convenience stroller, the Summer Infant 3D Lite has a 12-pound frame. The sleek and slim stroller has a roomy storage basket and a removable sun canopy and is sold in a variety of color combinations, adding a touch of sophistication. Designed for traveling and day trips, the approximately 12-pound Kolcraft Cloud Plus stroller features a multiposition reclining seat, plenty of storage and a compact design that makes it easy to store and take on the road. 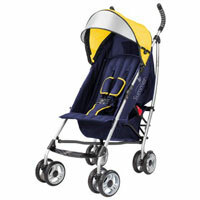 The Chicco C6 stroller has a lightweight, 11-pound aluminum frame. 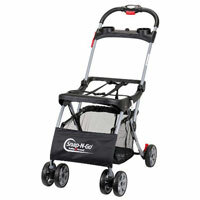 Parents can fold up this portable stroller with just one hand and easily fit it into compact spaces.